​Welcome to Comprehensive Neurosurgical Consultants. We are committed to providing the highest quality of comprehensive neurosurgical care in a compassionate and professional environment. Comprehensive Neurosurgical Consultants offers the highest quality of care in some of the most advanced brain and spinal techniques. 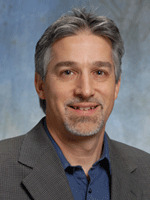 Dr.Daniel Rohrer has practiced in Portland for over 20 years. He provides surgical and non-surgical management for disorders of the brain, spine and peripheral nervous system. In addition to performing a variety of complex cranial, spine, and peripheral nerve surgeries, Dr.Daniel Rohrer is a regional leader in minimally invasive neuroendoscopic brain and skull base surgery.